Sussex Police today issued a plea for help to find a 16-year-old girl who has gone missing from Hove. The force said: “Police are extremely concerned for the wellbeing of teenager Jenny Doyle who was reported missing on Saturday (9 September). 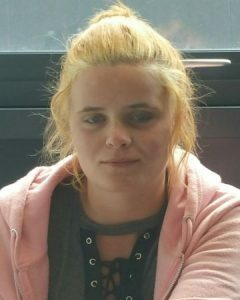 “Jenny, 16, is missing from Hove and was last seen on Friday (8 September) at 2pm in Lavender Street, Brighton. “The teenager is described as white, 5ft 9in, of slim build, with very long straight blonde hair and blue eyes. “She was last seen wearing jeans, jacket and flat shoes. I thought I was getting déjà vu, so I googled “Jenny Doyle missing”. She does seem to have something of a wanderlust, doesn’t she? She is prob lonely as she didn’t live with her mother bless her,hope she’s found soon safe and well.